Whether you are building a new home or working with an existing canvas, here are some ideas to get your creative colours flying. When building a new home or renovating an existing home, we often opt for the safety of a neutral colour palette. Most people love the idea of add adding colour to their home however they are usually too afraid to do it. Adding colour is easier than we think and the main reason is that a little goes a long way. Colour is a wonderful way to add personality to a space, create a focal point in a room, evoke a memory, create a sense of happiness or playfulness and in many cases, it can enhance our lives. 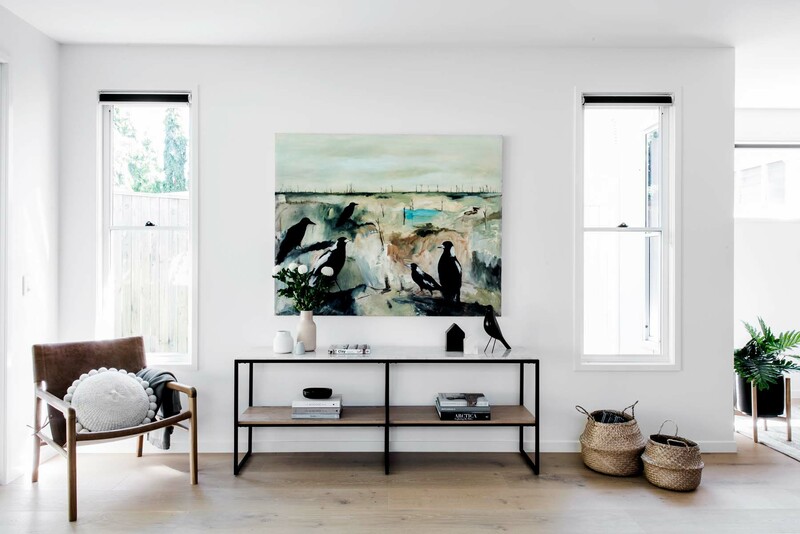 Artwork is probably the most obvious place to start when it comes to adding colour to your home and it can inspire the rest of the palette of a room. Artwork is however, very personal, so we encourage you to choose pieces that you can connect with, that evoke emotion and colours that you are naturally drawn to so they never grow old. Kalka Display Home in Manly. Artwork by Robyn Kirk, photography by Cathy Schusler. The great thing about art is that you can go bold and brave without needing to change any other the core ingredients of your room or home. Artwork can also be moved from room to room to give new life to an existing space. Kalka Display Home in Wooloowin. Artwork by Contemporary Editions, photography by Cathy Schusler. Never under estimate what a vase full of beautiful blooms or a bowl of fruit can do to enhance a space. It is the quickest, most cost-effective means of adding a pop of colour and is as simple as ducking down to your local deli or somewhere you can find unique, seasonal flowers and greenery or some fruit. We recommend bright fruits that have a long life such as lemons, pears, dragon fruit and pomegranate. 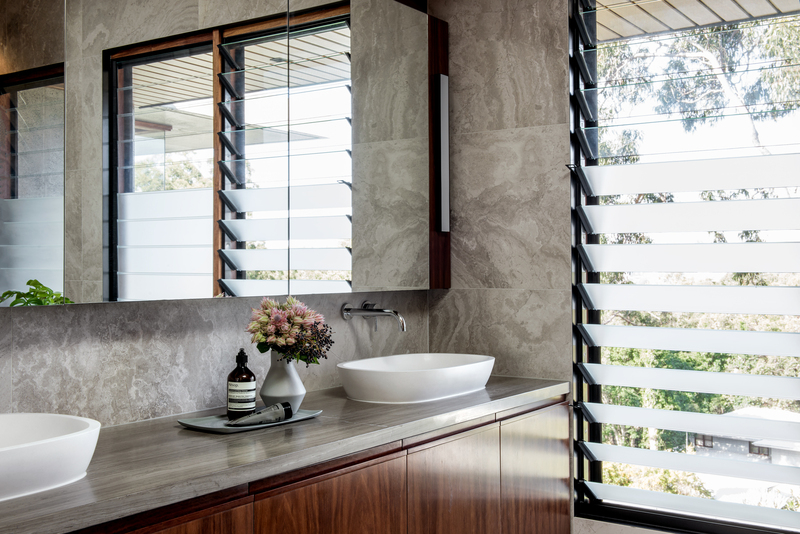 Flowers bringing life to this Neutral Bathroom Palette, designed by Shaun Lockyer, built by Kalka, photographed by Cathy Schusler. 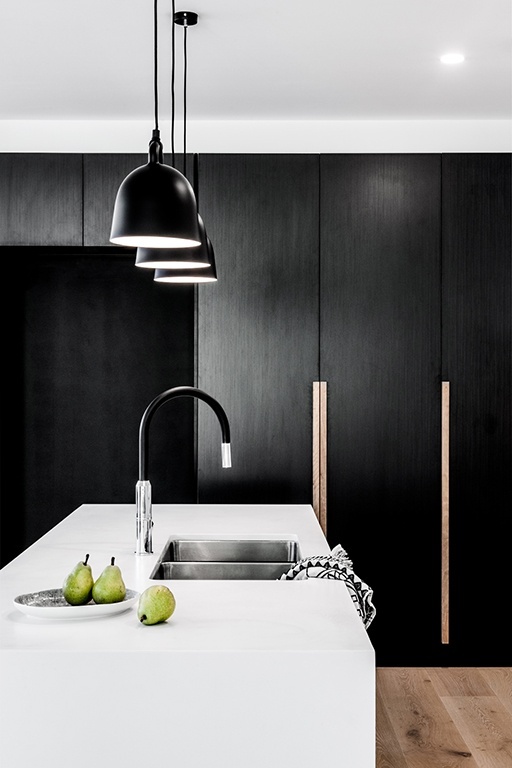 Pears providing a pop of colour in this mono-chrome kitchen, designed and built by Kalka, phogographed by Cathy Schusler. 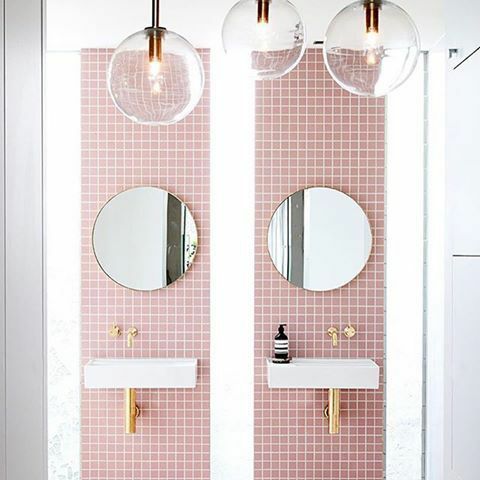 Adding colour to a bathroom or powder room can really increase the sense of fun and personality to spaces that are so frequently visited by guests and yourself. 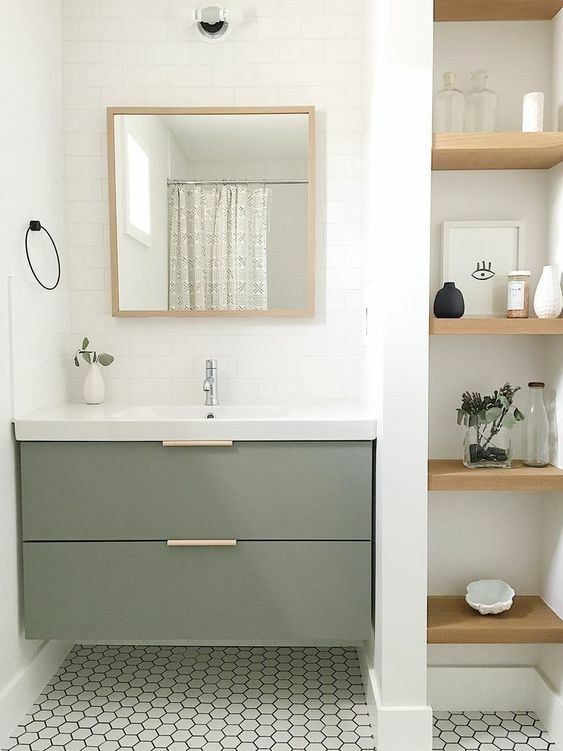 If there is a paint colour that you have been forever lusting over and considering using, you could have it as a 2PAC colour for your vanity unit. 2PAC vanity in sage green, acting as the hero of the room. Image courtesy of Pinterest. Sanitary fittings such as basins, tapware, baths can also be other elements to consider adding a pop of colour. Create a feature wall behind a vanity or mirror by injecting some colour with a beautiful tile or feature mosaic. Or consider adding colour to the floor tiling and keeping the wall tiling more neutral. Artedomus Feature tiles adding a pop of colour and fun to an ensuite. Image courtesy of Pinterest. If you are working with an existing bathroom with a neutral colour palate, simply add some brightly coloured towels as a quick, cost-effective way to inject some personality and style. Add a focal point to your room with a single piece of furniture such as an occasional chair, lounge or ottoman in a saturated colour or pattern. If you’re feeling outrageous, consider some bight coloured dining chairs around your dining table or coloured sideboards and side tables can also provide a fresh update to a room. 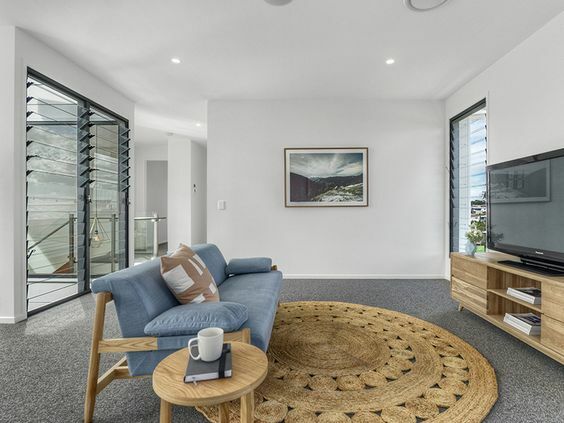 Blue Globewest Lounge – Kalka display home in Rochedale. 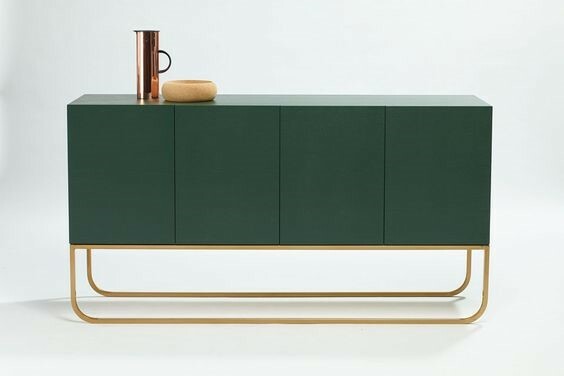 Grazia and Co. Green Side Board. Image Courtesy of Pinterest. Cushions and textiles are another simple and affordable way to introduce colour accents into your home, and the they can be easily relocated and interchanged into different spaces. They brighten a space and update the look of a room in an instant. Don’t forget to use them outdoors to soften outdoor furniture including pool side chairs and seating. 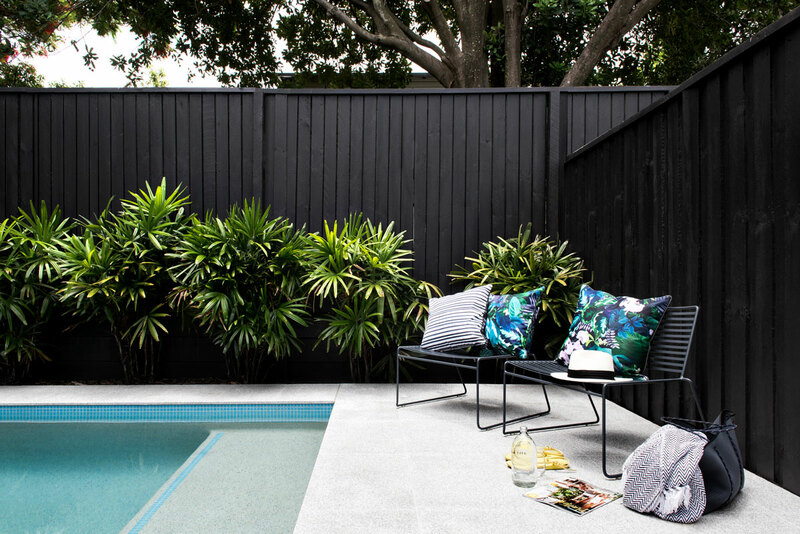 Out door cushions at Kalka display home in Wooloowin. Designed and built by Kalka, photography by Cathy Schusler. 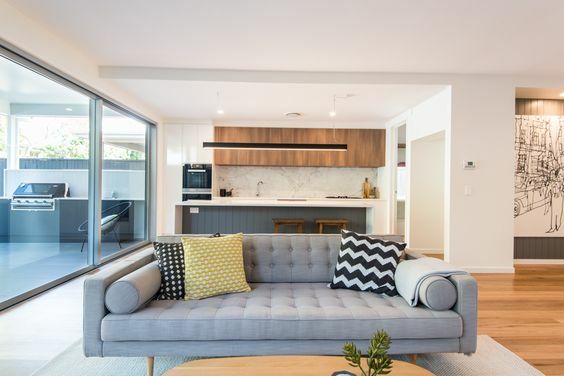 Feature cushions adding subtle pops of colour to Kalka display home in Camp Hill. As with cushions and throws, floor rugs are another great way to add personality to a home and define our living spaces. 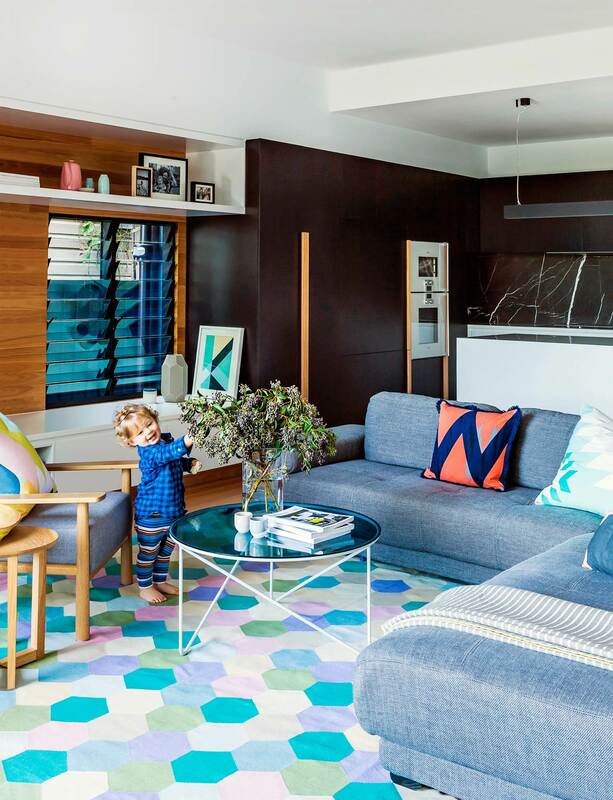 Look for a rug with a colourful pattern or detail to create detail under foot. Floor rugs are usually an investment piece and not one you will often interchange, so choose wisely as it will often become the pivotal point of a room that dictates surrounding colours and textures. 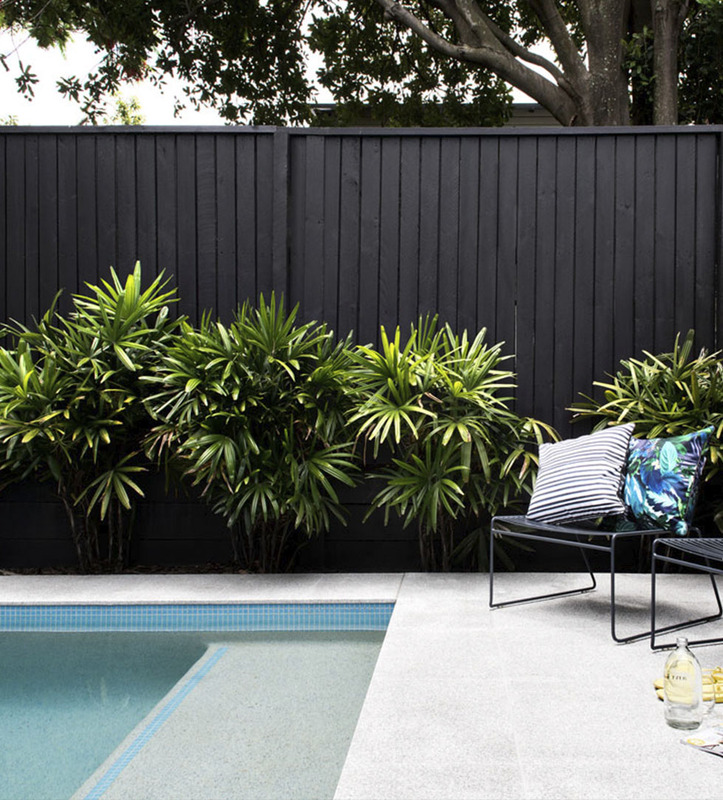 Designed by Shaun Lockyer, Built by Kalka, styling by Kate Nixon and photography by Maree Homer. There are many ways to add colour your kitchen if you have the luxury of designing and building a new home. Feature tiling, coloured 2PAC or laminate cabinetry, feature lighting are all elements you can control. 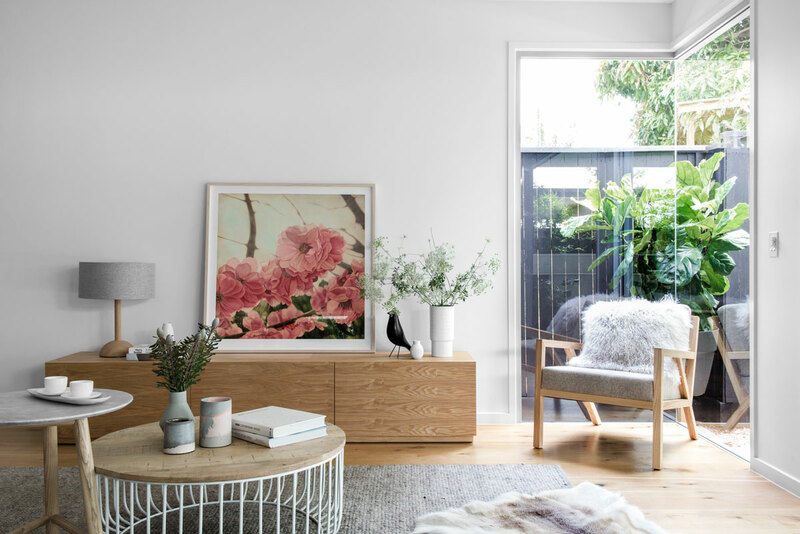 If this is however not an option, consider some brightly coloured bar stools or kitchen accessories such as storage canisters, salt and pepper shakers or crockery. 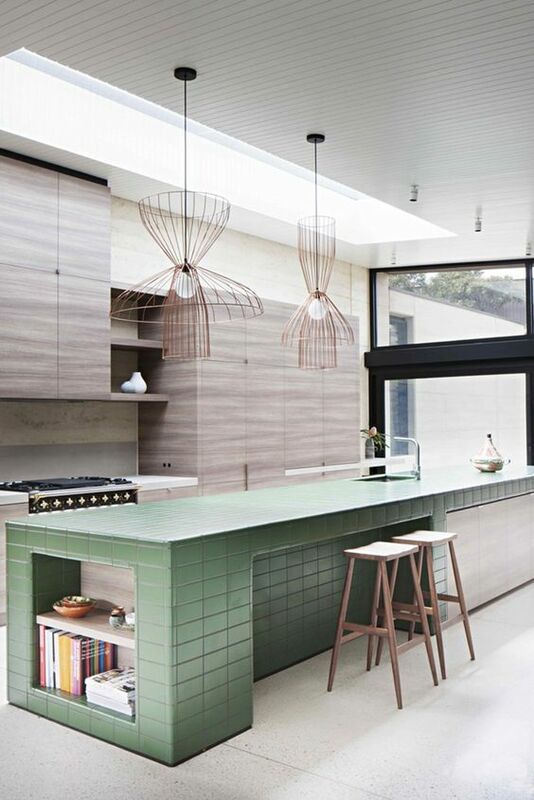 Feature colour tiling to this kitchen island bench creates personality and interest. Image courtesy of Pinterest. 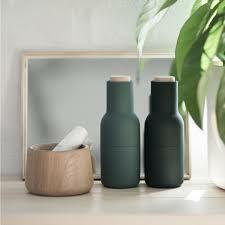 Menu Salt and Pepper Mill adding a pop of colour to the kitchen bench. Another instant economical way to add colour, glamour and life to any area of your home is with a plant. The best part is that if you make the right plant choices, they’re also low-maintenance. 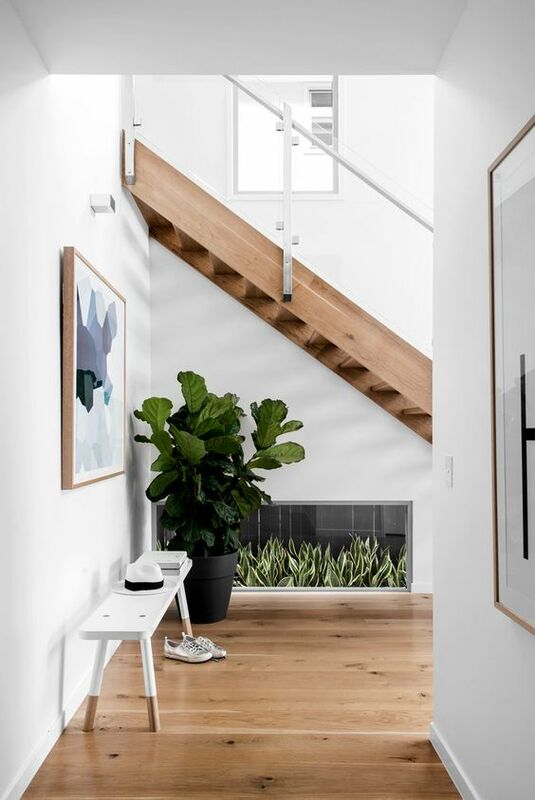 Fiddle Leaf Fig brightening an empty space underneath an open tread stair case. Kalka display home in Wooloowin photographyed by Cathy Schusler. Think beyond just white when painting certain walls in your homes to inject some personality and interest. An empty nook or alcove could be given a lift with a coat of feature coloured paint. Pick a colour that will harmonise with any furniture/ accessories in an existing space. Entry doors are also another great element add a welcome sense of personality and flair to a new or existing home. It is a great idea to start with a patch test on the intended location and watch what it does as the light changes throughout the day. 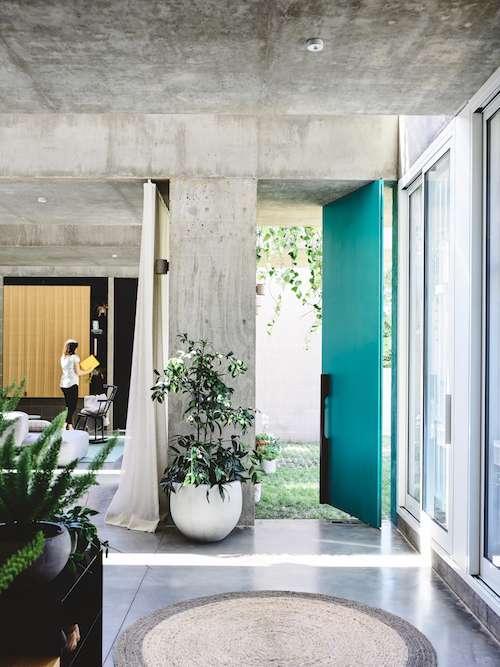 EAT Architects entry door painted in a feature colour provides personality and interest. Wallpaper is definitely a dividing force when it comes to adding colour to your home. There are those who love it and those who cannot take themselves back to the 80s trend. Just like a coat of paint, a wall applied with wallpaper can brighten, add character or immediately change the feeling of the space. Whether you select something light and natural or a bold print, there is really no wrong choice, other than ensuring the rest of your décor is complementary. 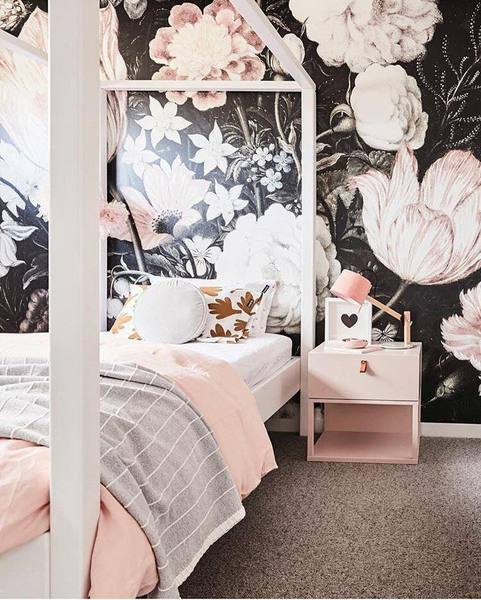 Dark floral wall paper by Anewall, creating drama and interest in this beautiful bedroom.